The Spirit 41 petrol rear roller range with their fresh design and appearance are both manoeuvrable and lightweight. Their revolutionary design introduces an aluminium skeleton chassis into the construction with tough ABS polymer formed covers and underdeck. 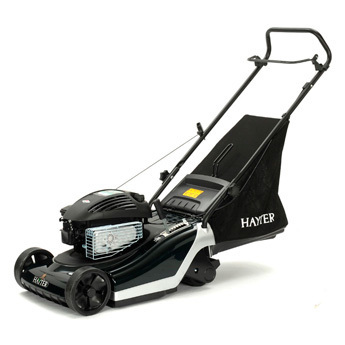 This adds robustness and continues the Hayter tradition of producing tough durable machines. With the simple to use single height of cut lever and large diameter rear roller a wonderfully neat and striped lawn finish is easier than ever to achieve.